What makes a movie epic ? According to the following presentation creator, there is proven formula to make an epic movie. an epic movie is one that includes some or all of the following characteristics: futuristic technology, high stakes action, supernatural & suspenseful events, ordinary characters doing extraordinary things, uprising of a lower class. in this presentation, you will see details and video examples (from Harry Potter, Hunger games and more) about each characteristic. We all know today’s movie trailers. but how it was looked like 100 years ago ? did you know that 100 year ago trailers used to be shown after movies ended ? in this presentation you will see how trailers were developed through the years including examples of old trailers. Who doesn’t know and love Mickey Mouse, Donald Duck, and Goofy ? we are all indebted to one man called Walt Disney, a cartoonist, animator, voice actor, and film producer. in this presentation the creator cover all the important things about Walt Disney- growing up, beginning of a successful career, setbacks, going to Hollywood, mickey mouse appears, Disneyland, awards and more. Movies began during the 1890’s. but what do you know about the development of the movies since then ? in this presentation you will see when it began, when it changed and got better ? animation films and more. Quentin Tarantino is known as a unique filmmaker who changed the crime genre. in this presentation, you will see how Tarantino’s movies changed the genre. you will see how crime movies before Tarantino looked like and how Tarantino changed the movies’ structure, the way society is shown and more characteristics. the two film that took as examples are reservoir dogs and pulp fiction. 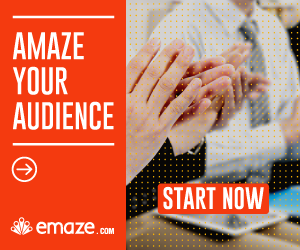 Want to start making amazing Emaze presentations ? click here for Quick Emaze guide.